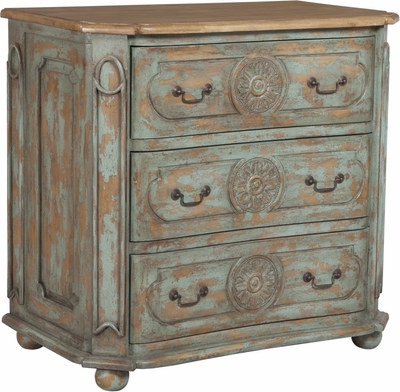 MEDALLION CHEST - Artisan Surf City with heavy distress on hand carved mahogany three drawer chest. Artisan Dark Stain on chest top. Antiqued hardware. H 36.25" x W 38" x Depth 22"